97% of pictures are worth 1000 climate words | Wott's Up With That? This entry was posted in Pull the Other One, There's a Study!, Who Knew? and tagged Anthony Watts, Consensus, Global Warming, Lord Monckton, Monckton by Ben. Bookmark the permalink. I just did a very quick and rough scan of 50 random medical journal papers and I am shocked! It would appear that not only does multiple sclerosis not exist, but 20 other serious diseases I can think of off the top of my head barely rate a mention. Its time to stop wasting taxpayers money on specialized education in medicine because its obviously perpetuating myths. 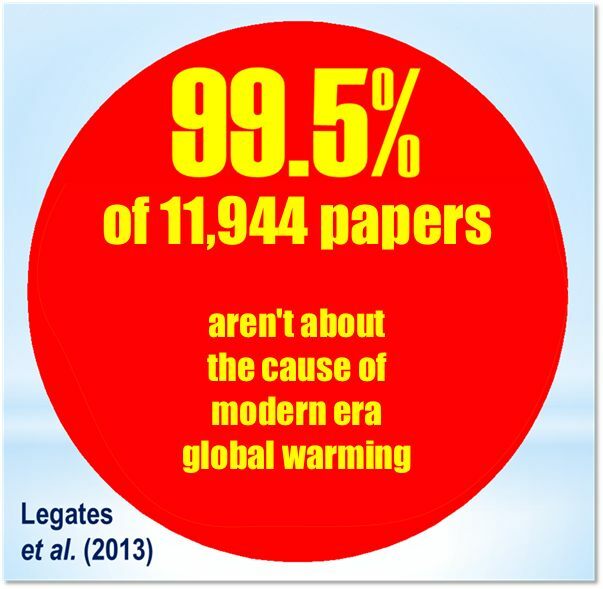 Most importantly; do those other papers undermine the case for anthropogenic global warming, or support an alternative cause (or even point to no warming at all). My guess is that none of them does either. But I guess it’s fun with statistics, right? Guess what–many studies on climate change are examining it’s effect on ecological systems, which are already much greater than this ecologist would have expected based on the extent of warming and climate change so far. Alas, these studies are documenting an ecological catastrophe that is underway, but they have much to contribute about the causes of the climate change. We leave that up to the physcists. “We leave that up to the physcists” Yes BillD, I certainly wouldn’t leave it up to climatologists and weathermen such as Watts. Have a read of my one comment here…. BillD, I find that statement very interesting. I work on the quality of the temperature record. Would you say that at least some of these studies are so strong that they may indicate that there may be a bias in the temperature record? I would be very grateful if you would have any pointers to literature about this. Oh my goodness, I am quite sure that none of us will ever see these catastrophic doomsday scenarios come to pass. You are all starting to look like those crazy street people trying to convince people that the end is near. I am convinced that it is not. You are convinced that it is. I feel sorry for the lot of you climate change soothe Sayers. It seems your understanding of science is equivalent to your ability in English language. The back and forth about the famous 97 % paper is like the old time serial thrillers. At the end of each episode somebody from either side would apparently die, but then we got to see the guy reborn to keep fighting for either good or evil. But good luck with your unpleasantness and vanity. The goof-ball dinner you are clinging to is just another in a long line of pathetic denialist attempts to fabricate credibility. Tame fake science journals packed with denialist allies. “Scientific papers” published by political think tanks. “International conferences” attended by the same 20 cranks and political operatives. “Petitions” from thousands of self-identifying PhD holders. Hijacked sub-subcommittees of credible scientific societies issuing comical claims that sound like the class clown locking himself into school PA broadcast room. You want some more insights into your cozy dinner? There’s this curious bridge-building declaration from one of your fellow diners: “Both sides are really fed up with the outrageous alarmists who are not representing science properly.” What a laugh! You can also try here and here. The Guardian’s rather naive reportage showed denialists trying to position themselves as statesmanly and the true scientists as enjoying the food. Ben. How about a post on the latest cop-out now going the establishment rounds. Quote,”I’m not a scientist so I can’t comment”, is currently the favoured response by climate denialist politicians in the USA, it seems. “Tame fake science journals packed with denialist allies. “Scientific papers” published by political think tanks. “International conferences” attended by the same 20 cranks and political operatives. “Petitions” from thousands of self-identifying PhD holders.” And risible, circle-jerk blogs published by hockey store warehousemen. Funny, AW does not identify anyone called “Steve”. Why are you deniers so dishonest? Why are you afraid to admit your true identity? Does that mean that you know you are being dishonest and would be embarrassed if your friends and colleagues knew your views? The arctic warming has been going since the 40s. The Northwest Passage? Still Blocked with Ice. Sad, sad site. An entire blog for negative comments about another blog with a comment section of its own. Your life is too valuable to waste this way. My life is too valuable to come back and reread my comment in hopes I’ve trolled a response. You could also have mentioned the reception given by denialist blogs like WaUWT when their ‘scientific authority’ is questioned. Just pointing out the results of an interesting but contrary paper can get you excoriated by ad hominem, then summarily dismissed from further commenting. But there again Watts’ Snake Oil is a nice little earner with the huge number of hits his website gets, and nobody in their right mind puts out a recall on a product that sells so well. I’m a little confused! Please help! Can you explain this??? I don’t know who to believe … YOU or this guy from UEA. If you can explain that away, then your whole site is valid and I’m sorry for doubting what you write on it, but if you can’t well, you probably should stop writing about the ‘consensus’. [Yes, it’s HIM or ME. No other option. But if I had to interpret your quote from Dr. Hulme, I’d say that he simply didn’t like the design of a particular survey of the opinions of climate science experts. Do you think he’s trying to say that there is NO broad scientific agreement about human impact on our climate? I’d love to see your song and dance for that claim.